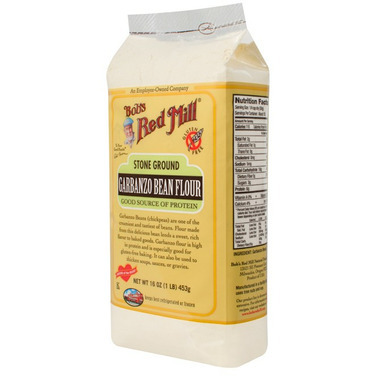 Bob's Red Mill Garbanzo Bean Flour, freshly milled and 100% stone ground, is popular in Middle Eastern cooking and baking. Use 7/8 cup to replace 1 cup of wheat flour in baked goods. Recently found this flour and am so happy. I use it to make gluten free pizzas. I use this product to make Cauliflower Hot Wings, that had come to be one of my favorite vegan recipes. The only problem is that it's not available in my local grocers. As for the rating, I'd have to give it five stars, principally because no one else but BoB's Red Mill makes it, as far as I'm concerned. Fantastic! 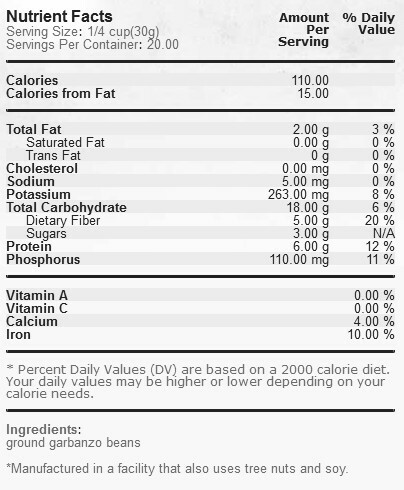 I've used this to make savoury chick pea pancakes and zucchini/corn veggie burgers.